After a lengthy illness Mary Irene Neumann (nee Pokrant) passed away with her family by her side at the Altona Memorial Hospital on December 29, 2018. Mary is survived by her husband Cliff of 61 years, her son Larry (Doris) and her precious granddaughters Rachel and Nicole. One sister, Dorothy (Fred) Rudy, special niece Colleen (John) and nephew Ken (Cindy) Pokrant. Mary was predeceased by her son Greg, her parents Edward and Annie (Krause) Pokrant, brother Arnold and sister in law Olga Pokrant, and sister Verna. Funeral service for Mary was held on Saturday, January 5, 2019 at 2 pm. at the Zion Lutheran Church, Friedensthal, Manitoba. Ash interment will take place at a later date. Mary had a heart of gold, always willing to help wherever it was needed. She was a very compassionate woman, always finding the good in people. 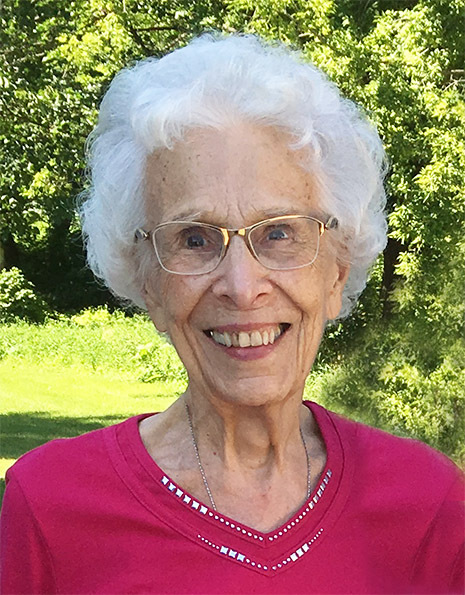 Mary was a life member of the Royal Purple Ladies, and the Lutheran Church Women, she also served many terms on the Emmanuel Lutheran Church board. She loved the outdoors and being on the farm. Mary loved the game of curling, on and off the ice. Mary and Cliff traveled extensively thru out their 61 years of married life. Making many new life long friendships along the way. Mary was a women of deep faith, and this faith helped her thru with the tragic loss of her son Greg in 1997. With the arrival of a granddaughter in 1998, this gave a new outlook on life. Mary was diagnosed with a defective heart valve and this was repaired in the summer of 1999. Specialist told her that it should give her another 20 years of life and it almost did. Her health slowly started to deteriorate in the last year and a half. She was a strong women and fought till the end. The family wishes to thank the wonderful staff of the Altona Memorial Hospital for their kind and compassionate care they provided to Mary this past year. Donations in Mary’s name can be made to the Altona Memorial Hospital.